Introducing Mitch Corner male solo singer. 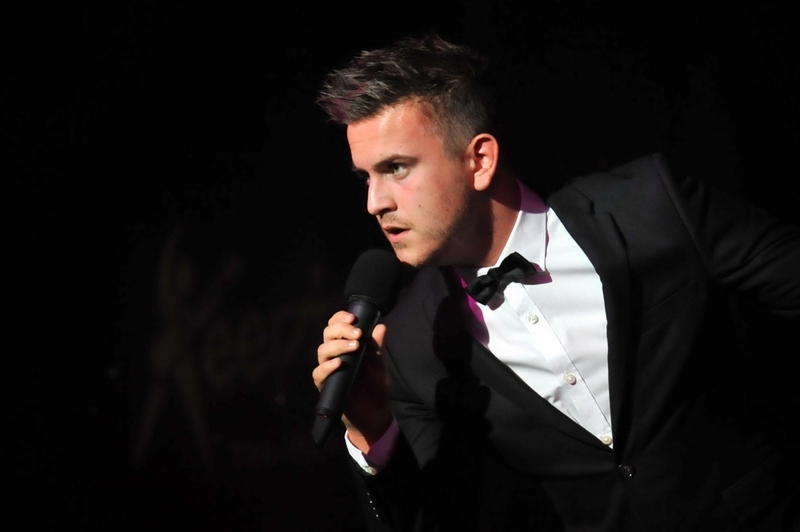 We are pleased to be working closely with the talented Mitch Corner male solo singer. He is available to perform at any part of a wedding, including the Wedding Ceremony, Wedding Breakfast and Wedding Reception. Mitch can work alongside our Professional Wedding DJ using the same equipment and allow a seamless flow of professional entertainment. Mitch is 22 years old and he sings swing, Michael Buble, up to date pop, country, classical, theatre and Motown with a bit of rock thrown in. Excellent vocals to a very high standard and he was featured on ITV getting to the last 40 of Andrew Lloyd Webbers search for a Jesus for his arena tour of Jesus Christ superstar. Mitch started singing from the age of two and joined Gresley boys choir when he was eight soon to become there main descant singer. Then he was introduced to a local theatre group “The little theatre company” in 2004 in Burton Upon Trent playing small parts in Oliver, Scrooge the musical, The King and I, Summer Holiday, Titanic, Jeckyll and Hyde the musical he then played Marius in Les Miserables followed by his first lead part as the beast in Beauty and the Beast. The following year he played Jesus in Jesus Christ Superstar. Want to book Mitch for your wedding reception?